Great victory for Brazil in the La Baule Nations Cup. Yeeesssss! 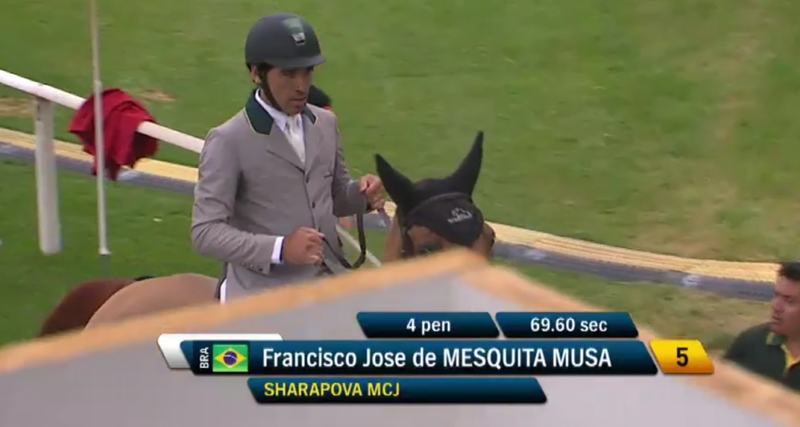 Amazing last clear round for Bruno Chimirri and Italy won an amazing Piazza di Siena team event! Great event this year whit a lot of Olympic medallist and some Olympic champions whit the grass surface! What amazing weekend for Italy, it's unbeliveble! After 24 years an Italian back to win the Rome GP, amazing job De Luca! Well, they have an interesting flag for Portugal in the results system. Big Grand Prix in St. Gallen is currently in progress. I believe this is the first equine casuality that competed at Rio 2016. Ireland dominates the first round of North American League Nations Cup in Langley... In other news, grass is green and water is wet. It's incredible how often ireland beats everyone accross the pond, as usually the only European team.